Lakes Mail Article: go to the following link to see lots of awesome photos! 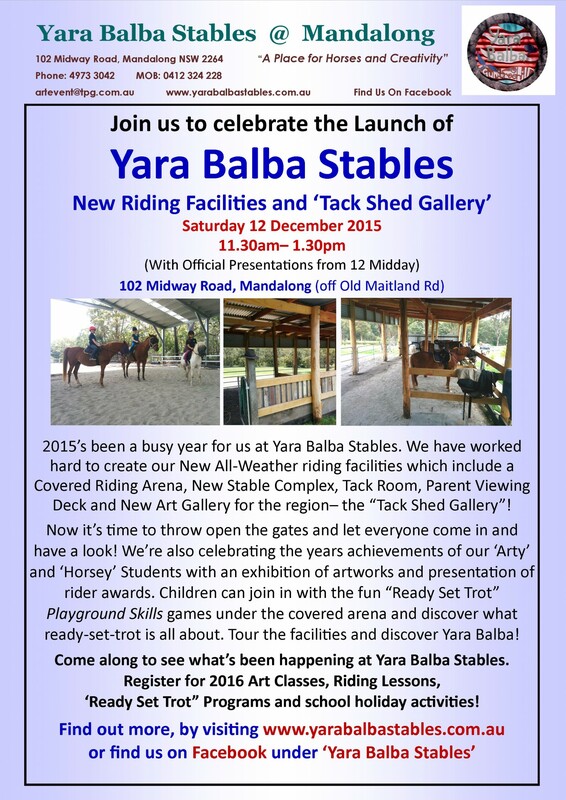 Yara Balba Stables gets Launched! After all the work was completed, we Celebrated and Launched our new and improved facilities at ‘Yara Balba Stables’! Many came along to celebrate this with us, on Saturday 12 December 2015. The official presentation was at 12 midday, with riders receiving awards and artists launching the new gallery. We now have a Covered Riding Arena to help with those rainy days, hot days, and early winter nights (when we can now ride under lights). We have a new set of rustic yet solid, Covered Yards to prepare our horses for riding and a brand new Tack Shed for all the gear. A new Wash Bay will make hosing down our mounts now super easy and a fabulous new Viewing Deck for parents and spectators should keep everyone happy and safe. 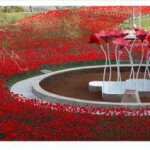 There’s also something for the creatives too. The brand new “Tack Shed Gallery”was also officially opened during the Launch. On display, was artworks from 2015 students at Yara Balba Art Studio. 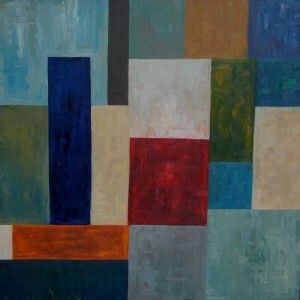 The artists proudly presented their work. The Tack Shed Gallery is now available for hire by artists & will also double as short stay accommodation for visitors-NEW! 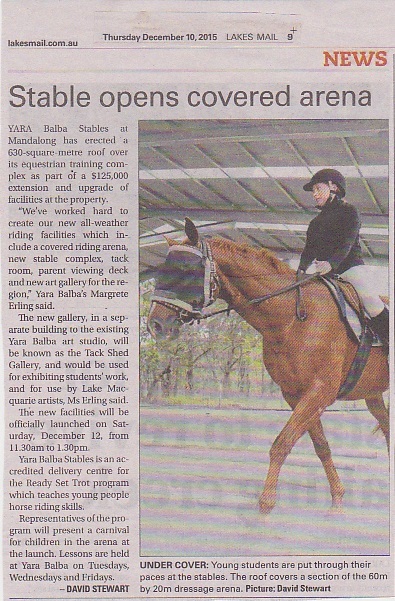 Ready Set Trot (Equestrian Australia) are proud supporters of Yara Balba Stables. Just for fun, we showcased some fun horsey games for children, facilitating some activities from RST’s Playground Skills Program. Children interested in horses, loved the games under the big arena on offer during our launch. 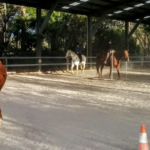 People signed up for the- Learn To Ride -Ready Set Trot Courses, that run at Yara Balba Stables during school holidays throughout the year. Kids met our Shetland Pony ‘Dubbo’ who was available for a pat, under our covered yard. 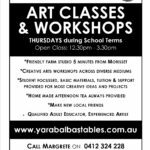 Finally, registrations are now open for people wanting to book in for riding lessons for 2016 or to join the adult art workshops that run weekly in the purpose built art studio. Term bookings available, with all riding lessons to be paid for in advance. 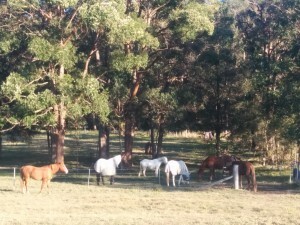 We had a great day on Saturday 12 December 2015, helping us Launch the New Yara Balba Stables @ Mandalong!